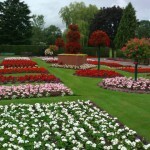 Pant is well located for visitors looking to visit north Shropshire as well as mid-Wales and the Wrexham area. Within a short drive of the village there are a number of interesting destinations. We have listed a few below, do let us know if there are others we should include. Llanymynech Heritage Wharf is a community-run project which celebrates Llanymynech’s industrial history in a stunning natural landscape. 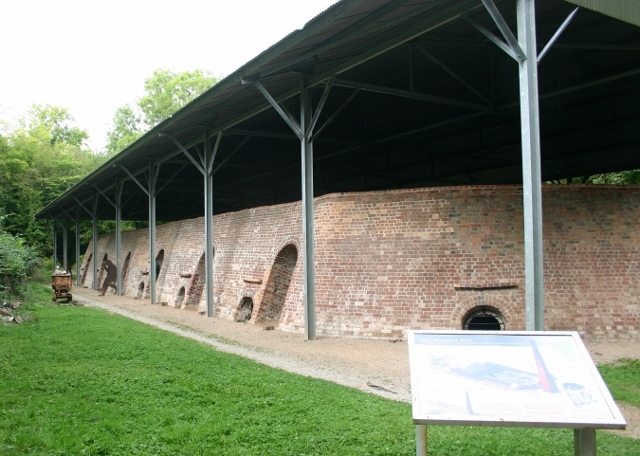 The wharf was an important shipment point for limestone from the nearby quarry and the Hoffmann lime kiln can still be visited. This is one of only three remaining Hoffmann kilns the country and the best preserved. The site is a haven for wildlife and there are lots of walks through the woods and along the canal. Guided tours of the heritage area can be arranged. In the summer, there are canal boat trips on Sunday afternoons and bank holidays. 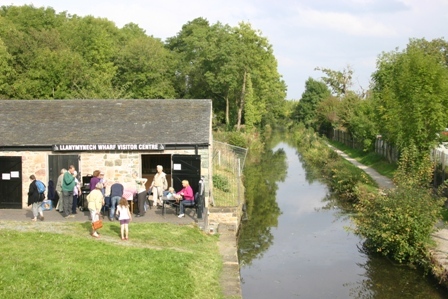 The visitor centre has displays and exhibitions about the canal as well as serving light refreshments. There is also a picnic area. The centre is open on Sundays from Easter to the end of September, from 1.30pm to 4.30pm, and on bank holidays from 11am to 4pm. Find out more here. Wheelchair accessibility: The canal boat is accessible to people using wheelchairs although there is no disabled toilet onboard. Oswestry is a thriving market town five miles north of Pant. The town is famous for its Iron Age Fort, which dates back 2500 years, and is one of the best preserved and most spectacular in England. The remains of Oswestry Castle in the town centre date back to Norman times and the Old Grammar School (now the Heritage Centre) is from the 15th century. Other places of interest include St Oswald’s Church and Cae Glas Park. Offa’s Dyke is a couple of miles west of the town. Much of the centre is a conservation area. Oswestry is the birthplace of war poet Wilfred Owen and the town’s green is named after him. The town is also well known for the high number of pubs relative to the size of the population! Find out more about Oswestry here. The Cambrian Railways Museum is in Oswestry and Cambrian Railways runs trains from the town at weekends in the summer, on bank holidays and special events. Picturesque Whittington Castle in north Shropshire is thought to be the only community-owned and run castle in the UK. Situated in the centre of Whittington village, the fairytale castle dates back to Norman times and has a long and fascinating history. The castle holds a wide range of events and activities, and is also available to hire for weddings, parties and other functions. Find out more here. 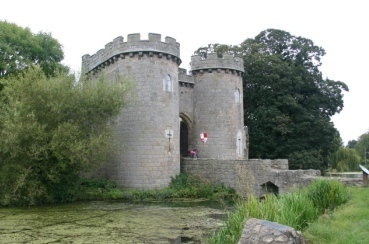 Wheelchair accessibility: Much of the site of Whittington Castle, including the cafe, is accessible to people using wheelchairs. Ellesmere is a small market town in north Shropshire situated beside ‘The Mere’, one of the largest natural mere’s in England outside of the Lake District. As well as being a lovely place for walking and relaxing, the Mere offers a range of leisure activities including rowing boat hire, steam boat trips and bird watching. The town offers a wide range of independent shops, including antiques, crafts and gift shops. 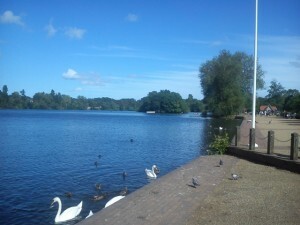 Ellesmere is also a hub for the Llangollen canal, with a new marina and overnight moorings. Find out more here. The spectacular Ceiriog Valley (Dyffryn Ceiriog) stretches from Chirk, six miles north of Oswestry, into north east Wales. 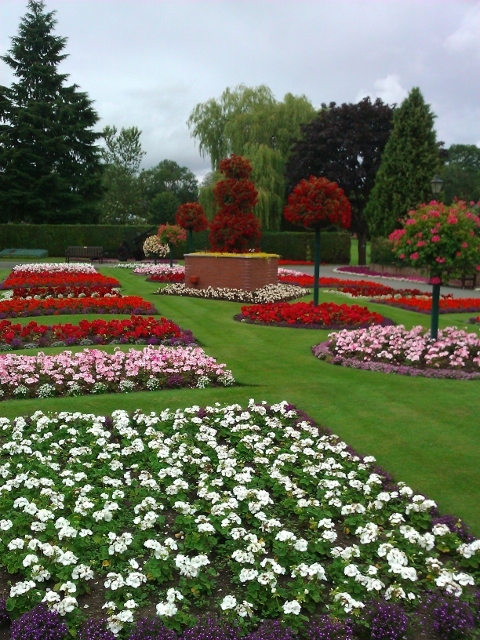 The valley was described by British Prime Minister Lloyd George as “a little bit of heaven on earth”. 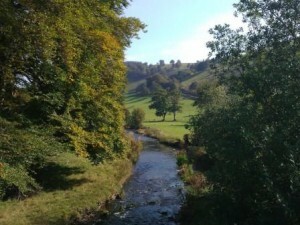 There are a number of villages in the valley, including Glyn Ceiriog and the picturesque village of Llanarmon Dyffryn Ceiriog, in the upper Ceiriog Valley. This is an excellent area for walking as well as pony trekking, fishing and mountain biking. Find out more here. Ten miles south of Pant is the historic market town of Welshpool (Y Trallwng). Famous as the location for the spectacular Powis Castle and Garden, the town is also a good base for exploring mid-Wales. The town has a number of places of interest, including the site of a 12th Century motte and bailey castle, as well as the only cockpit in Wales still in its original position. Welshpool also boasts the Welshpool and Llanfair Light Railway, which operates in the summer, on bank holidays and for special events and runs from Welshpool to Llanfair Caereinion. The Montgomery Canal also runs through Welshpool and trips can be taken.